If you’re not a person who mutes sports commentary because you could totally do better, you’ll either be pleased or rather annoyed that America will get a U.K.-based Formula One broadcast next year. Perhaps the British will use this platform to tell thousands of Americans how bad we are at roundabouts. In October, reports came out that F1 would move from NBC Sports to ESPN this season, but that ESPN wouldn’t exactly put a lot of resources into a broadcast like NBC did. Instead, reports said, ESPN would pay a rights fee in order to show someone else’e broadcast, which will be on an hour later this year since F1 pushed back start times. We don’t have to guess which feed anymore. ESPN announced Tuesday it would be paying Sky Sports for all 21 races this season, and that the arrangement was put together by F1 and approved by ESPN and Sky. It’ll also be this way for at least a few years. But that doesn’t mean F1 will get some kind of premiere treatment on ESPN. Each event should get about six hours of live and replay programming and according to the 2018 broadcast schedule ESPN sent Jalopnik in October, 16 of the 21 races will be on ESPN2. 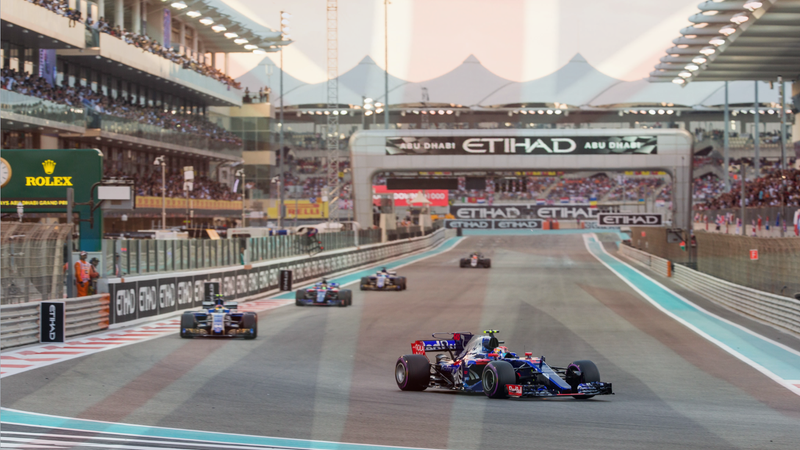 Of the five races not on the secondary channel, the U.S. Grand Prix and Mexican Grand Prix will be on ABC, while the Monaco Grand Prix, British Grand Prix and the Canadian Grand Prix will be on ESPN. Full disclosure: Jalopnik is owned by Univision, which is a current broadcast rights holder for Formula One in Spanish.